Convenient Adjustable Flex arm Leaves Hands Free. Makes Small Jobs Easier and Faster. 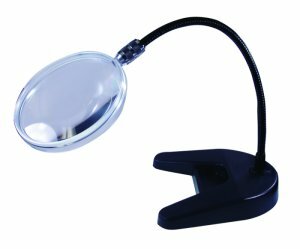 Light Weight Optical Grade Acrylic Lens is Mounted on a 12" Flexible Arm for Convenient Use.